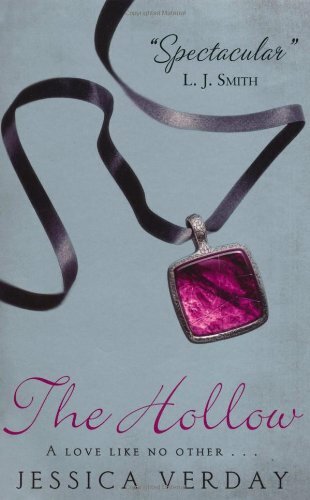 Review: The Hollow the most emotionally gripping novel I have read this year. So cleverly and beautifully written. A story based around forbidden love, haunting moments and the headless horsemen I odd combination but an amazing one just the same! The plot is so original and I have never come across anything like it. I couldn't compare it to anything right now and I love it. A girl falling for someone who isn't exactly what he seems. As well as hanging in a graveyard for most of her free time. One of the things I loved most about this novel was the way Jessica would describe Abbys surroundings. It makes you imagen each and every tombstone in that very haunting graveyard and I think its really effective. The characters are amazing in this novel. We have Caspian the gorgeous and very haunting lead guy. The way Jessica writes him is so captivating. Then theirs Abby. You can defiantly feel Abby's passion and proudness of her town history and wanting to have her own perfume business I think Jessica writes it perfectly and has made Abby a great role model for people her age. You can defiantly relate to her character in more ways that one. I love novels that teach me new things and this novel has done that. I had never heard of "The Legend of Sleepy Hollow" by American author Washington Irving. And as I read the pages It made me want to learn more about it. Whole different twist to the headless horsemen that will have jaw dropping. The beautiful scenes between Caspian and Abby are so captivating and gripping. It will leave you swooning for days. I cannot wait to get started on the sequel! read The Hollow you would be Dead crazy not to! I love these books. The next one nearly made me cry, its a very special series. I can't wait for the last one!! Glad you liked this one - I've seen some mixed reviews for it, so have been putting it off, but since you like it so much I may have to find a copy somewhere! Thanks for the great review :). Glad you enjoyed the book! I still need to read the third one! Wow! I need to buy this one! Its been on my wishlist for ages but I haven't gotten round to it! Your reviews made me want it even more!